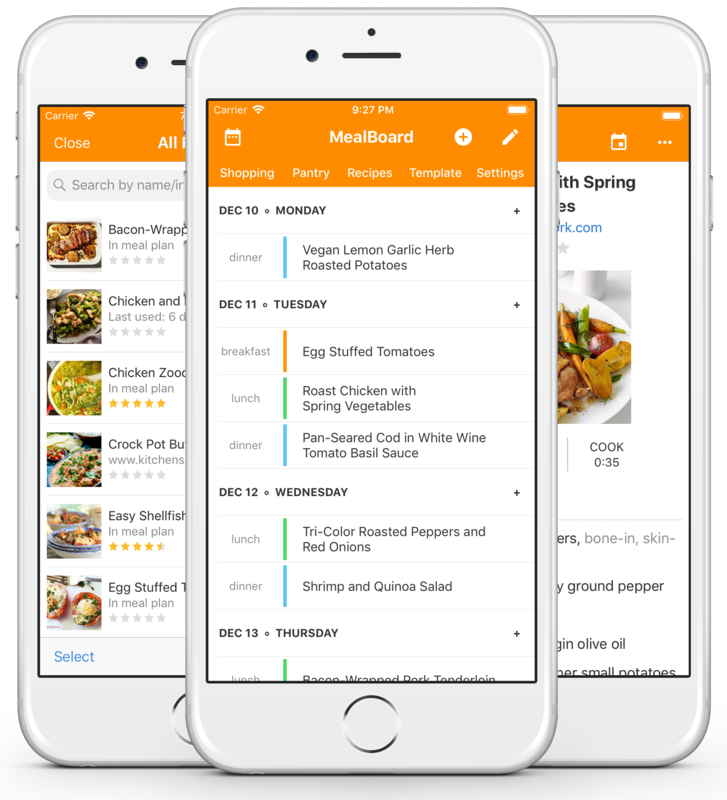 MealBoard combines recipe management, meal planning, groceries and pantry management into a single app. It is fully customizable. 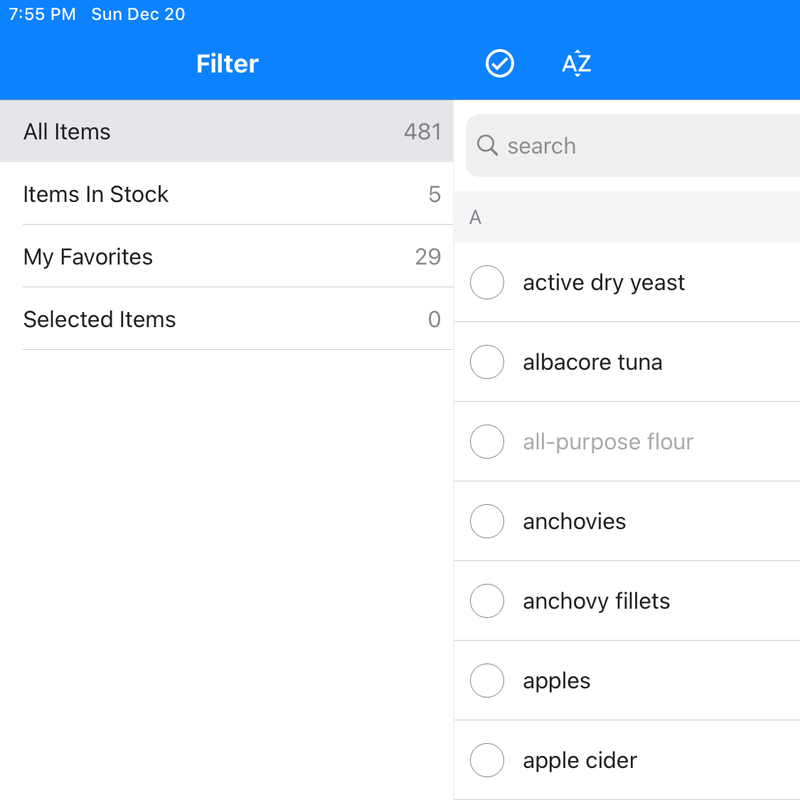 You can manage your recipes, ingredients, food categories, meal types, stores, store aisles, grocery items and many more with its clean, uncluttered interface. 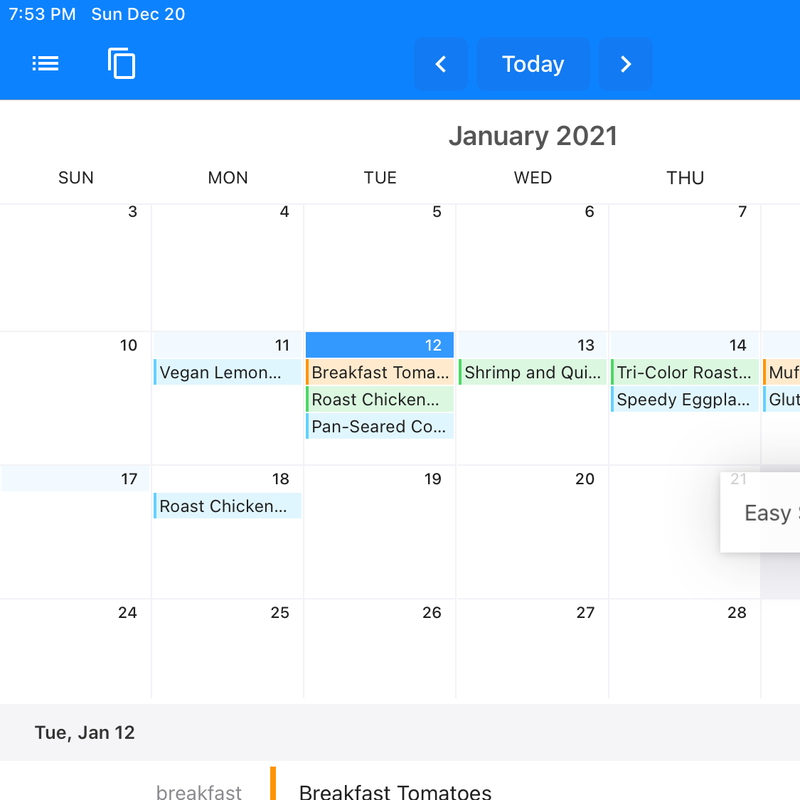 Cut your time spent planning your meals and groceries. With MealBoard, a few taps is all it takes! 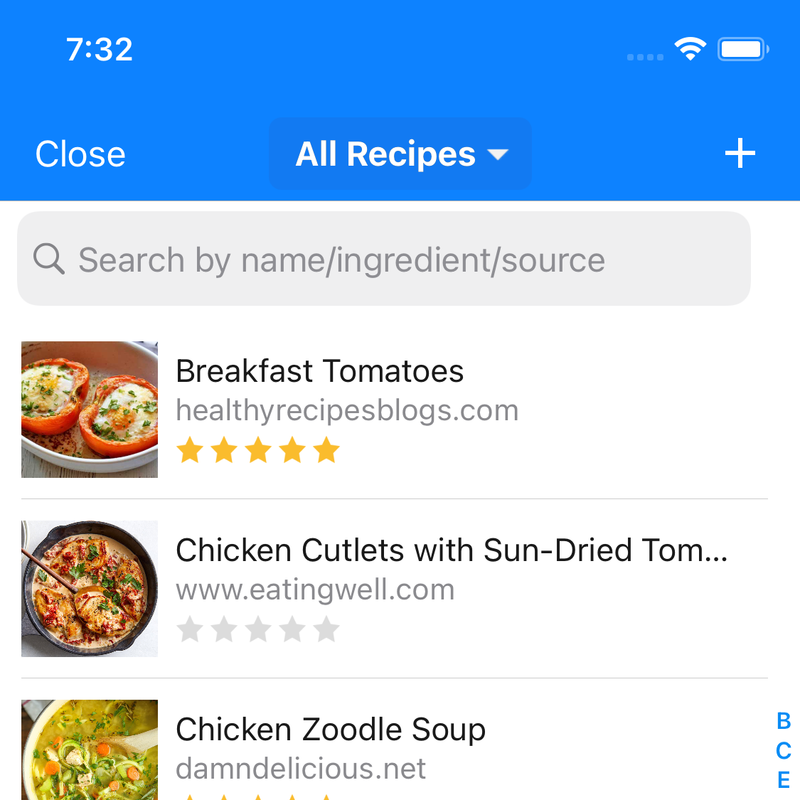 MealBoard's built-in web browser lets you browse recipe websites and import recipes with a single tap. 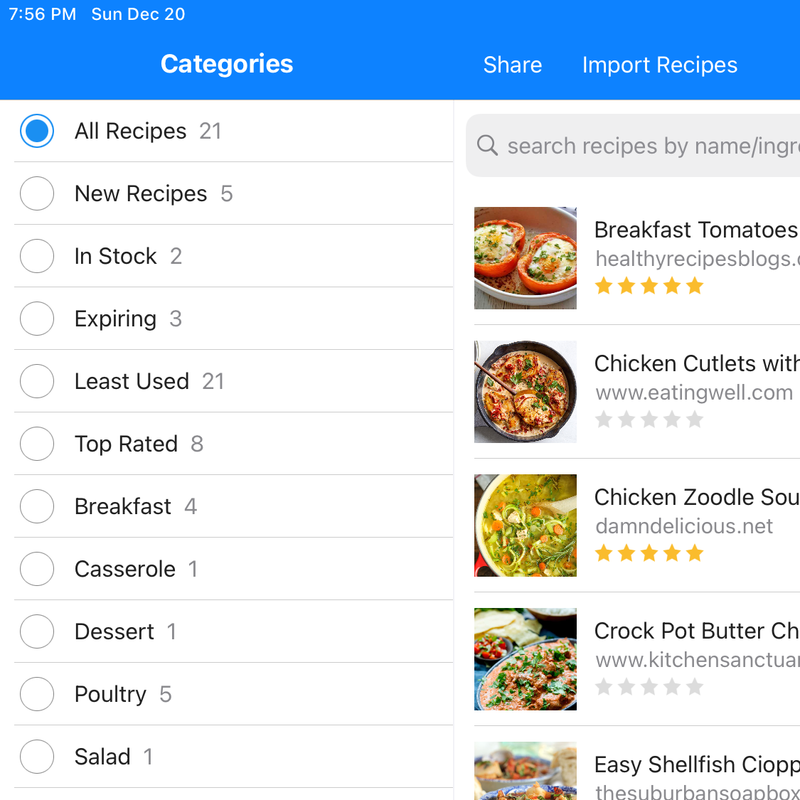 And you can use the search feature to search websites for recipes to import. Create your meal plan in minutes! 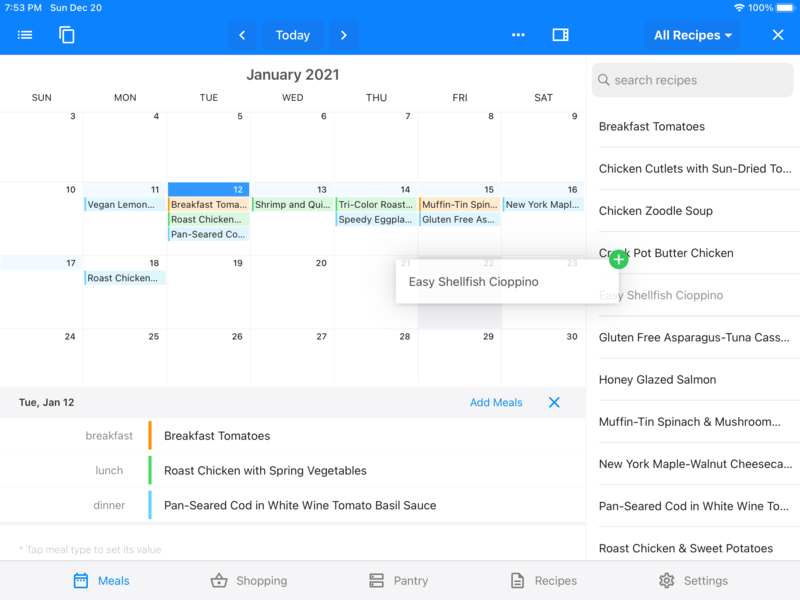 Easily move meals to another day, add meal notes and adjust the number of servings. You can even set prep reminders! 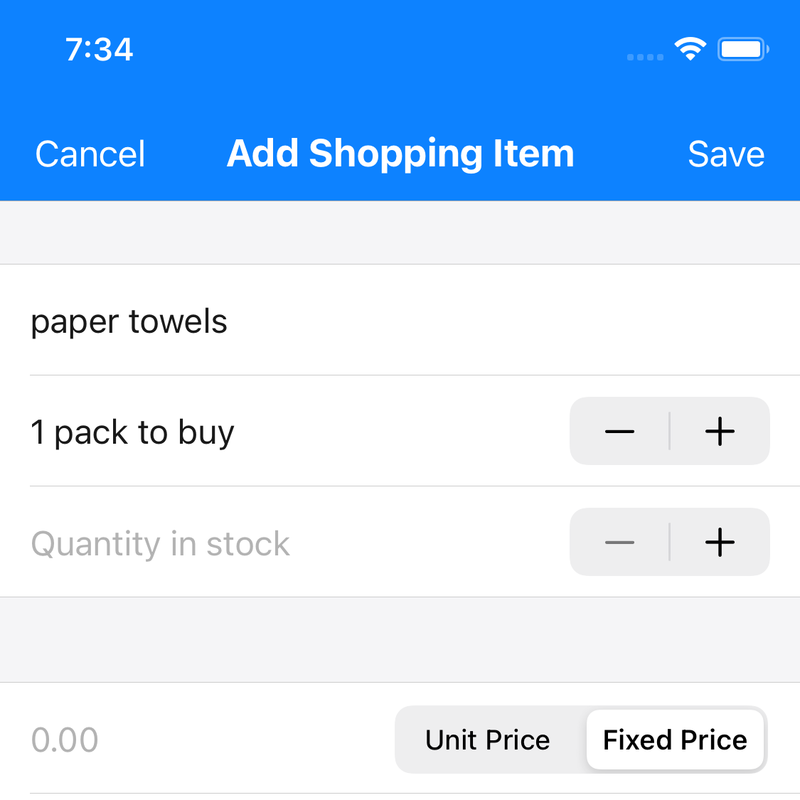 Generate your shopping list with a single tap. 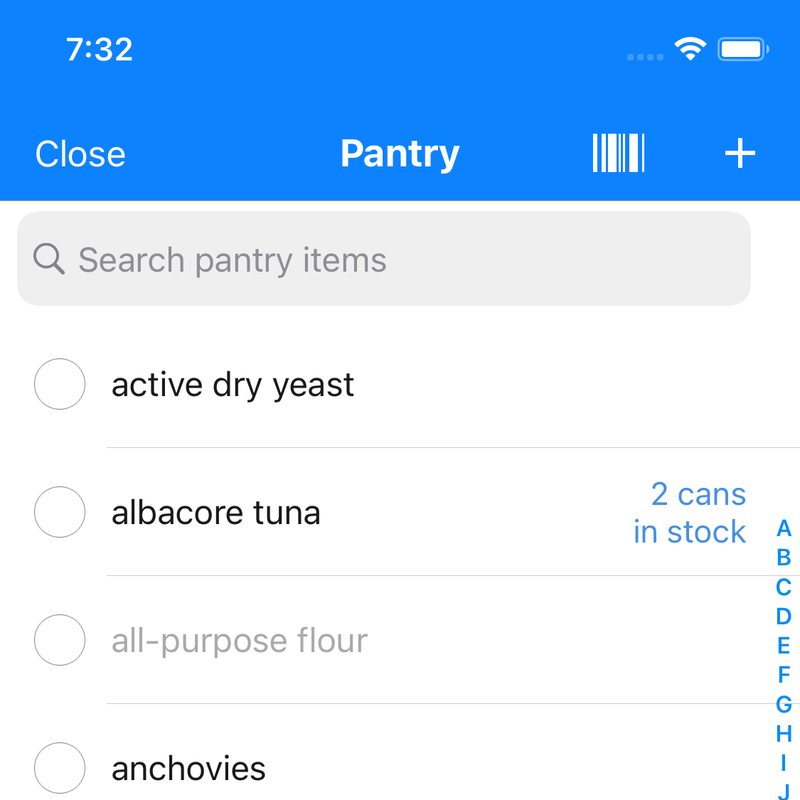 The shopping items get sorted by aisle, and if you're using multiple stores, you can view the list by store. 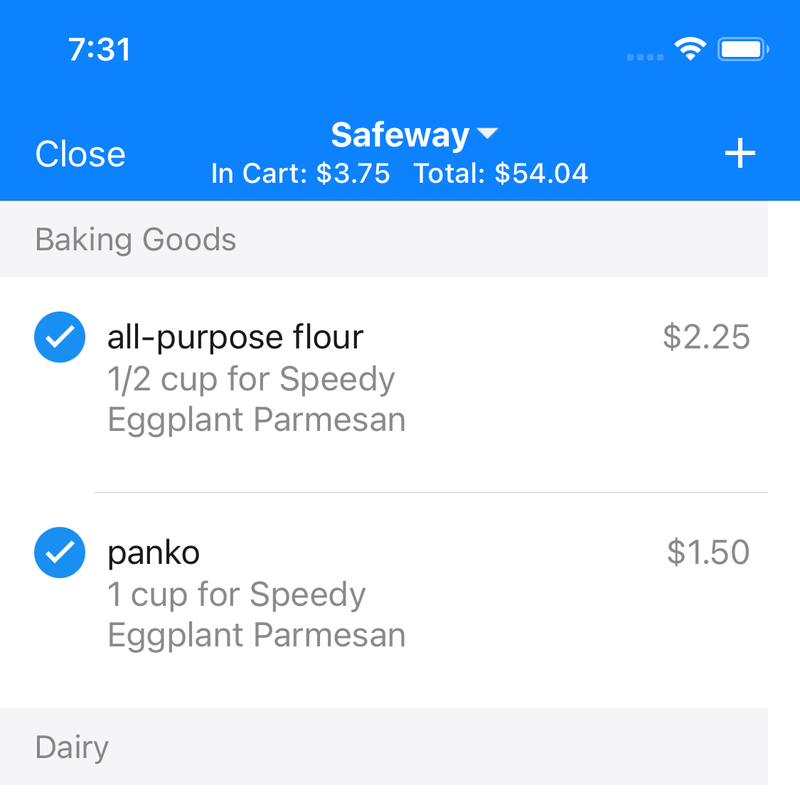 You can also set up the grocery prices so you'll see the total cost and stay within your budget! Ever wondered how much sugar left in your pantry? Or how many tomatoes left in the fridge? 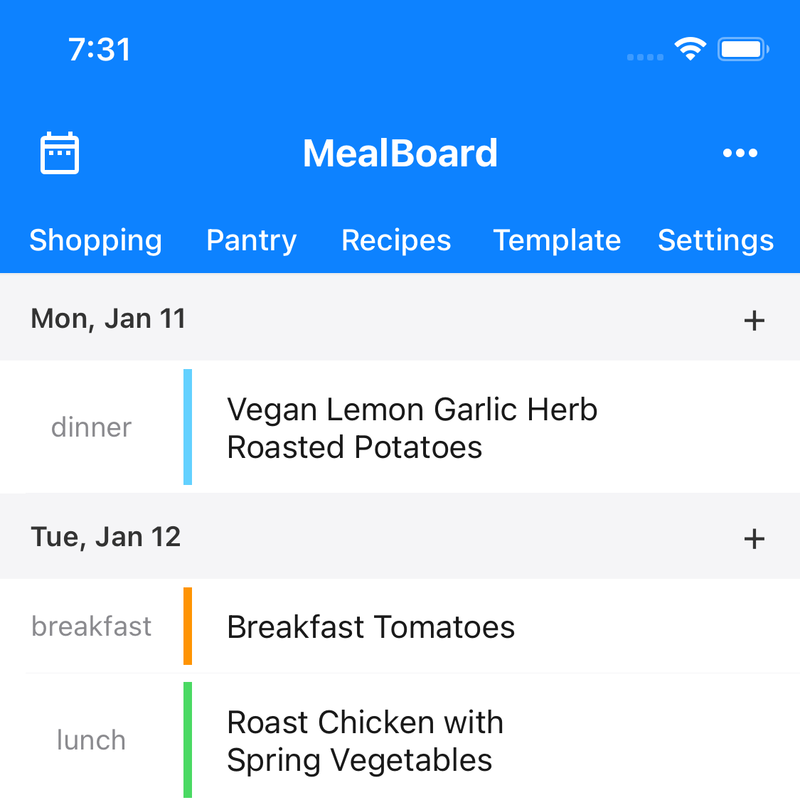 MealBoard lets you keep track of items in stock. Once you're done shopping, move items from the shopping list to the pantry. And as you cook meals, you can easily adjust the items left in stock. 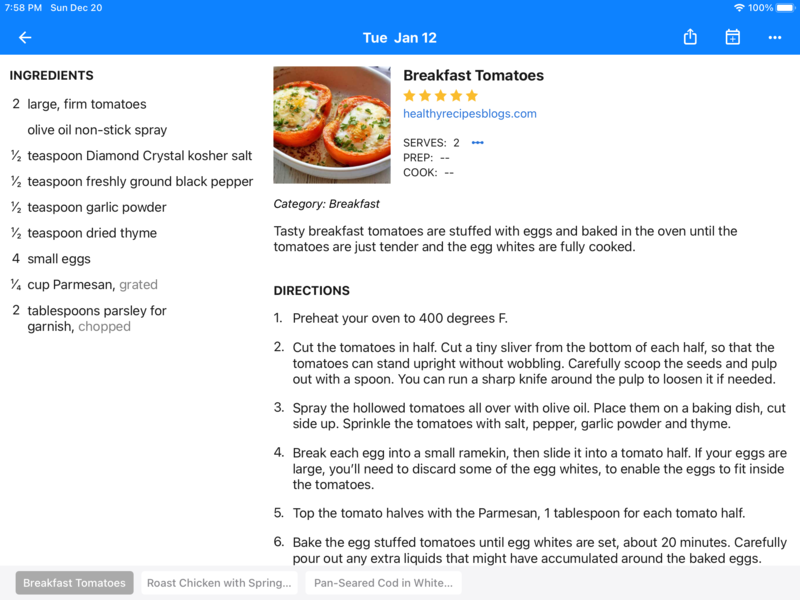 Plan meals in your iPad, do the shopping with your iPhone, follow recipes in the iPad as you cook meals. 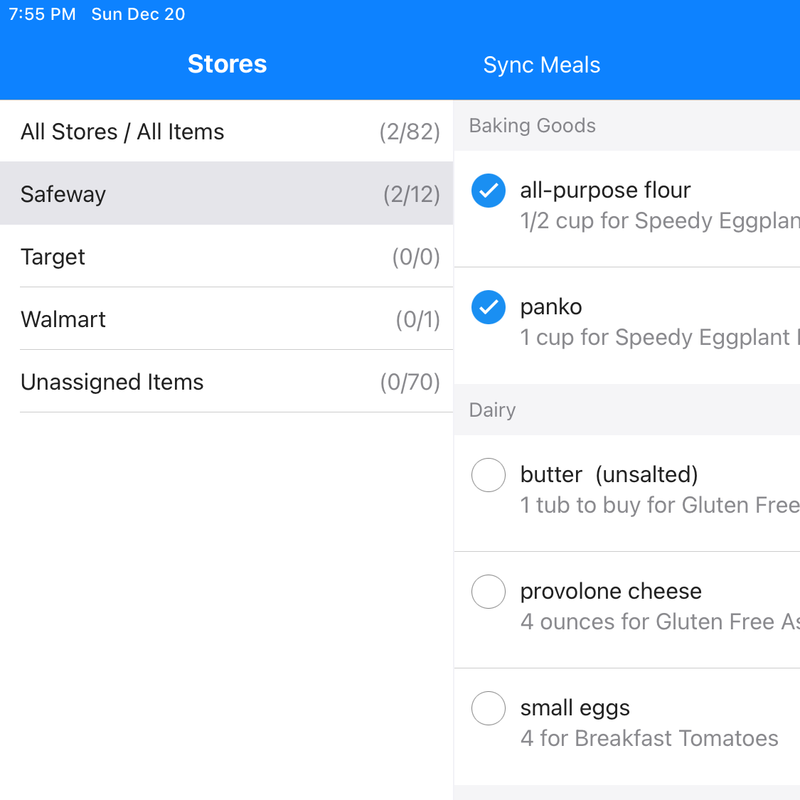 You can set up MealBoard to sync data across all your devices. 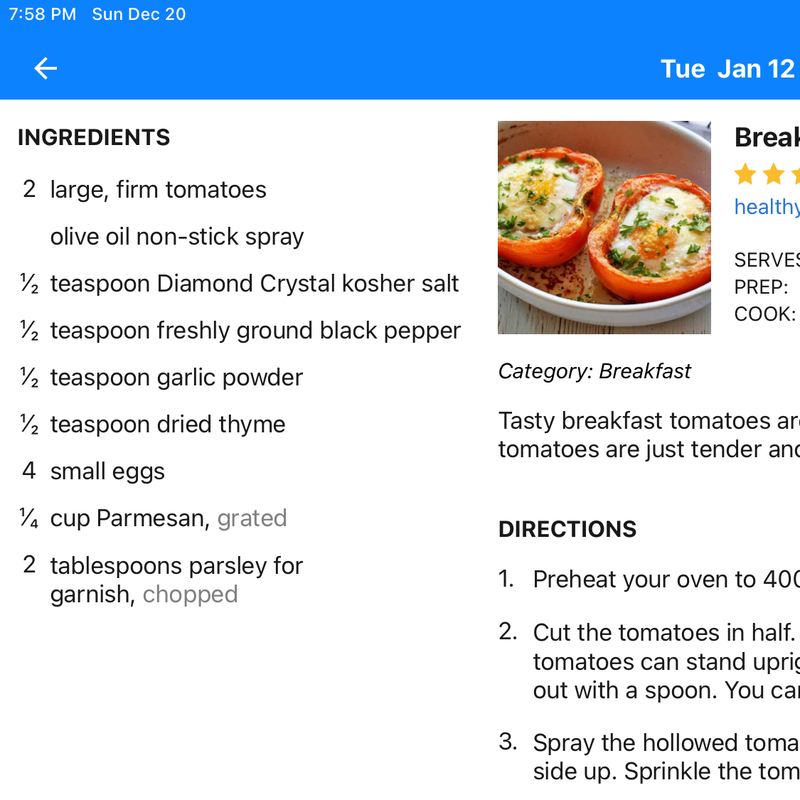 Tired of manually typing recipes in your iPhone? 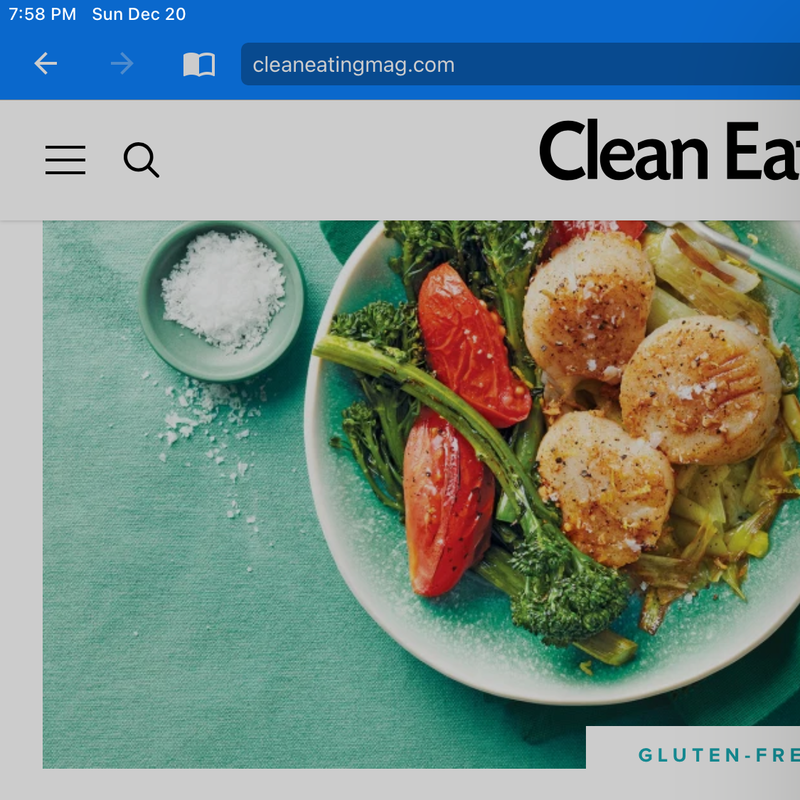 Use MealBoard's web interface! 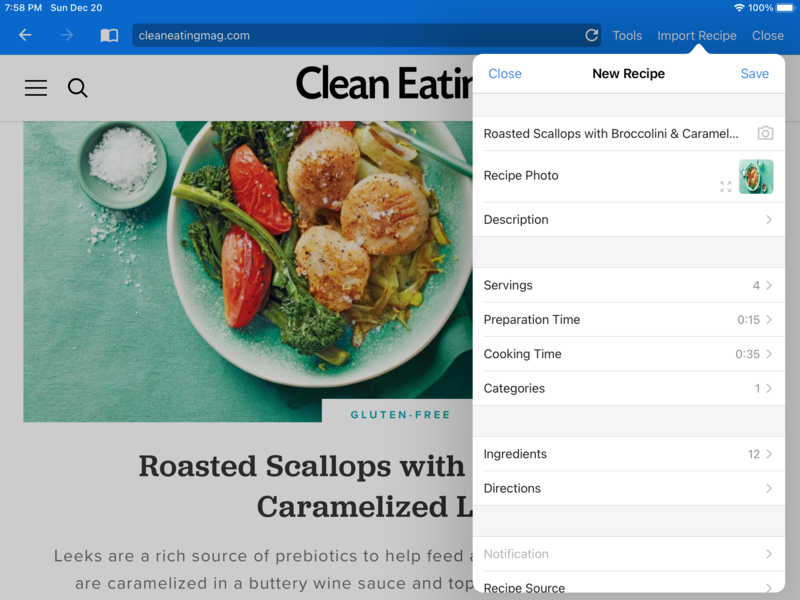 It's free and it lets you type in recipes from the comfort of your Mac/PC keyboard. "Hands down this is the most useful app I have on my phone. I use it every week to meal plan and grocery shop. It is incredibly well-designed and I would have paid 10x the price to download it!" 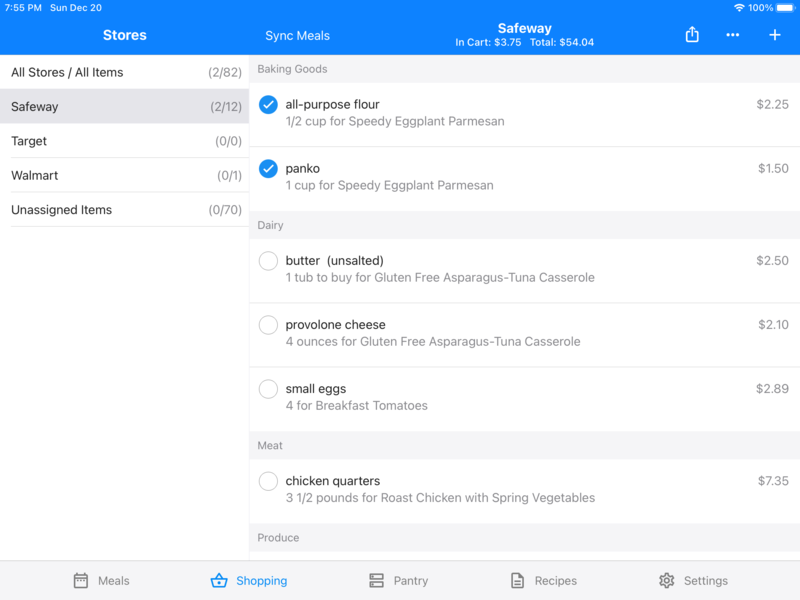 "I discovered the MealBoard a few years ago while I was looking for an app to make shopping lists. 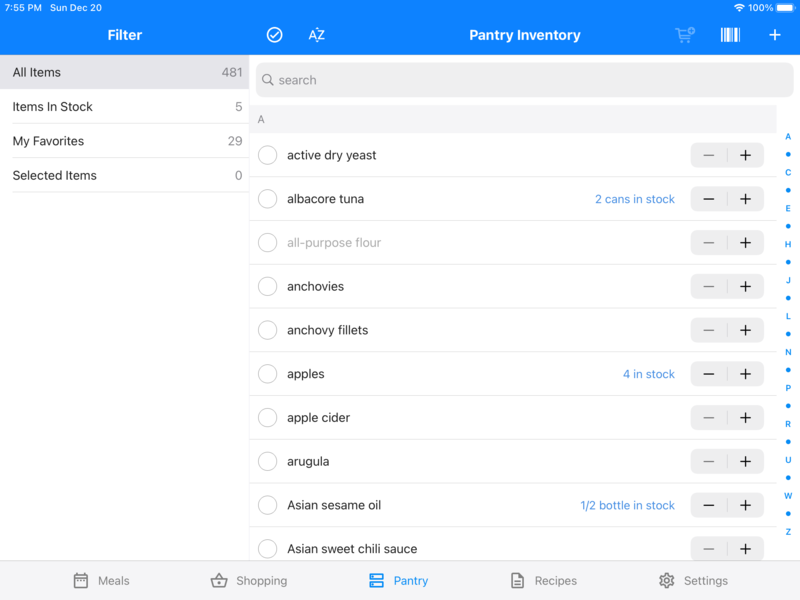 I had no idea I would find an app that manages my cupboards, recipes, shopping lists and syncs them all together. This is an incredible useful app! It’s worth the front end work that it takes to set it up." 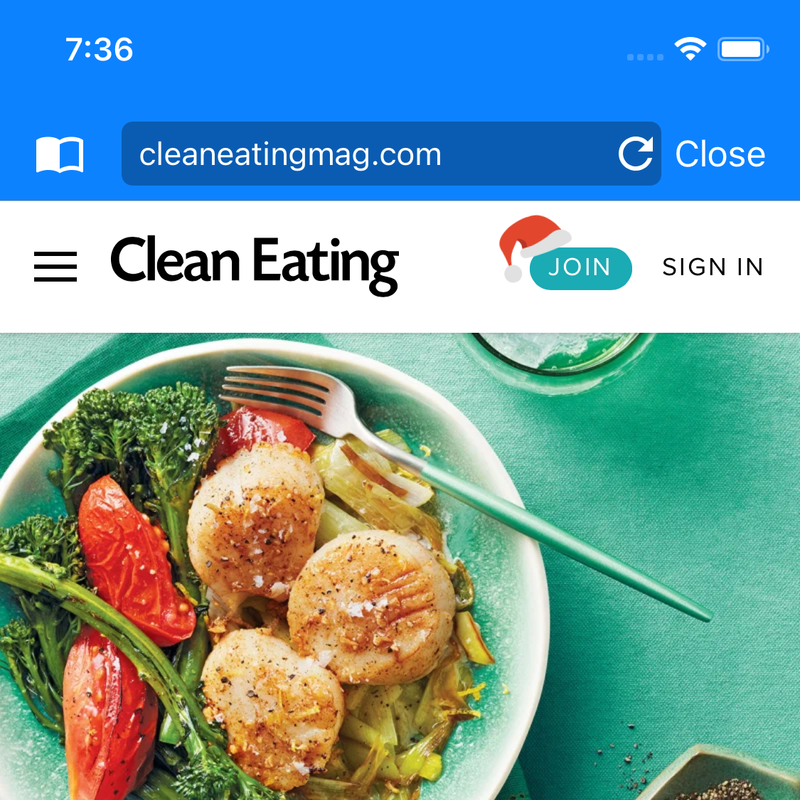 "This app was instrumental in eating out less and cooking more. I have put a fair amount of time into adding lots of wonderful recipes to my meal board account. Now I can meal plan my entire week and populate a shopping list for my family in under a half hour. This app is well worth the money. My husband and I both have it on our phones using the same account, and that makes delegating the shopping incredibly easy. No matter who meal plans, the other can buy exactly what's needed. Just look at the meal board!" "I love this app. It was just what I was looking for. I usually meal plan every week and it was starting to be a major chore. This app alleviates all of that. I have spent a fair amount of time up front, entering all my recipes and learning the app. It is very intuitive and easy to use. 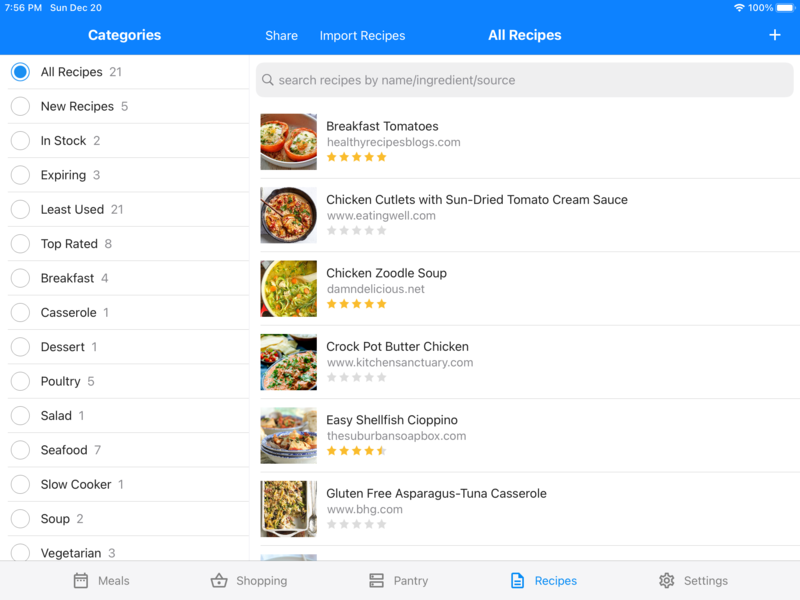 Once your recipes are in just plug them into the calendar and export your shopping list. It makes meal planning so easy. I starting using it to help organize our Whole 30 meals instead of using my disorganized spiral notebook. It has been wonderful. I highly recommend this app."